Join the Marywood University Women’s Soccer Fall ID Clinic on October 28 at the Marywood University campus. It is open to all girls in grades 9 up to 12. The clinic is ideal for those players who aspire to play at the collegiate level. The program emphasizes on improving the participants technical and tactical capabilities. Furthermore, the program’s format is identical to what the Marywood University women’s soccer team is using. There will also be competitive small-sided and full-sided games. In addition, the camp includes sessions about college recruiting processes. There are only 26 field players and 4 goalkeepers slots available. Thus, registration is on a first come first serve basis. Marywood University is a private, coeducational, Catholic, liberal arts university in Scranton, Pennsylvania. The university is an affiliation of the Sisters, Servants of the Immaculate Heart of Mary. It is also a member of the Association of Catholic Colleges and Universities, as well as the Council of Independent Colleges. The university is popular for its sustaining high-quality education. In fact, it is 56th in Regional Universities North, 2018 edition of Best Colleges rankings. It is also 31st in the Best Value Schools rankings. Currently, Marywood University’s undergraduate student population is around 2000 while its postgraduate student population is around 1,300. Marywood University has 18 athletics teams competing in the Colonial States Athletic Conference and Eastern College Athletic Conference. Both conferences are part of NCAA Division III. The university athletes call themselves the Pacers. The Pacers women’s soccer team head coach is Andrew Smith. At the same time, he is the Assistant Director of Athletics and Recreation for Communications of Marywood University. Coach Smith is now in his 18th season as the women’s soccer team’s head coach. Under his leadership, the Pacers women’s soccer has already 10 CSAC post-season tournament appearances. Ultimately, Coach Smith is a 5-time Coach of the Year awardee. Then, the team’s assistant coach is Elizabeth McGill. Coach McGill is also the Pacers’ goalkeeper coach. Finally, the team’s volunteer assistant coach is Meghan Antrim. Join the Marywood University Women's Soccer Fall ID Clinic. 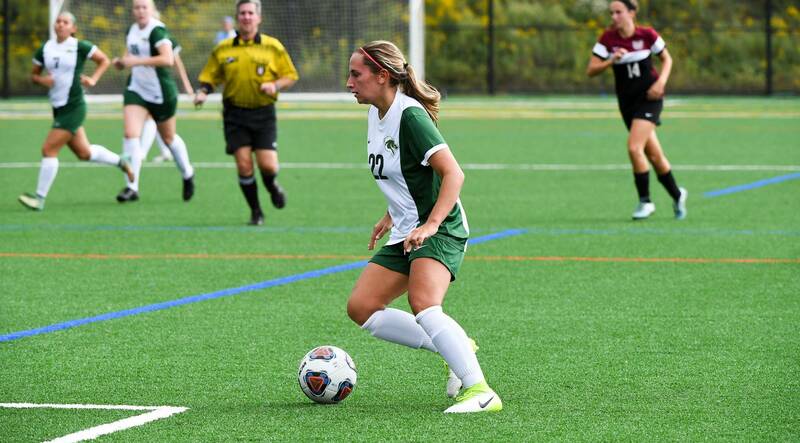 Its format is identical to what the Marywood University women's soccer team is using.